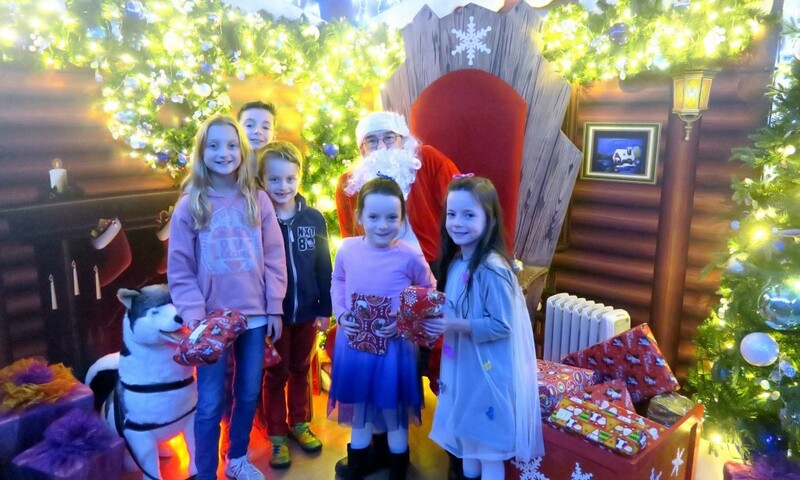 I love to get my kids a nice outfit for Christmas day, they come down in their new comfy PJ’s on Christmas morning and open some presents. Then after breakfast were get ourselves all spruced up, do our hair and put on a nice outfit. So I was over the moon when No Ordinary Label sent us through a couple of dresses for my twins. They are a perfect pretty dress to wear for Christmas day. However these dresses have been worn many times already! As soon as a I took them out of the lovely packaging my twins were super keen to put them on, first we had arguments about who was wearing which one, but then they decided that it’s ok were twins we can share them and take turns to wear them! 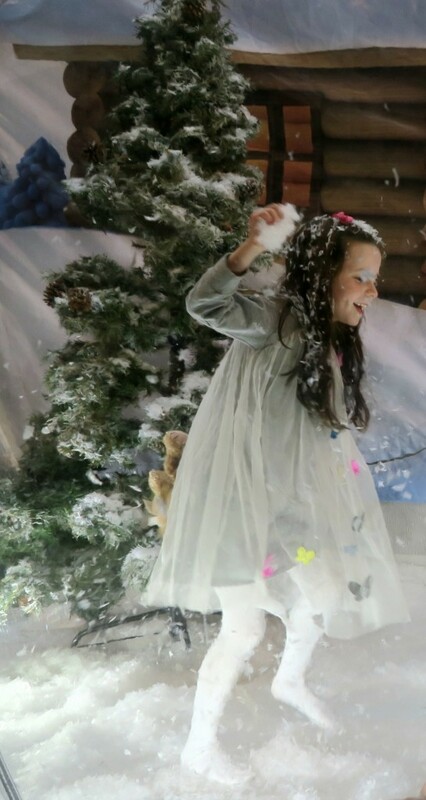 Danced in a giant snow globe,out for parties and dinner! 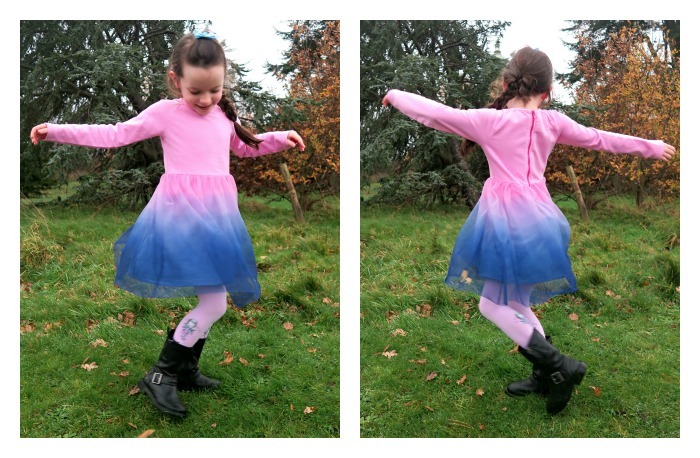 Sofias No Ordinary Label dress is made by In a Pickle and is a dip-dye pink and blue dress. This dress has a beautiful ombre tulle overlay, which is over a jersey dress. My daughter Sofia found this so comfortable, it fitted really well on her body and was a lovely length on her. This dress is in age 6-7 yrs but it comes in sizes 2-8yrs. As you can see from the picture below she loves spinning in it and watching the dress floating around. Priced at £28 I don’t think it is that bad, it is a beautiful dress and I can see my girls getting a lot of wear out of it. 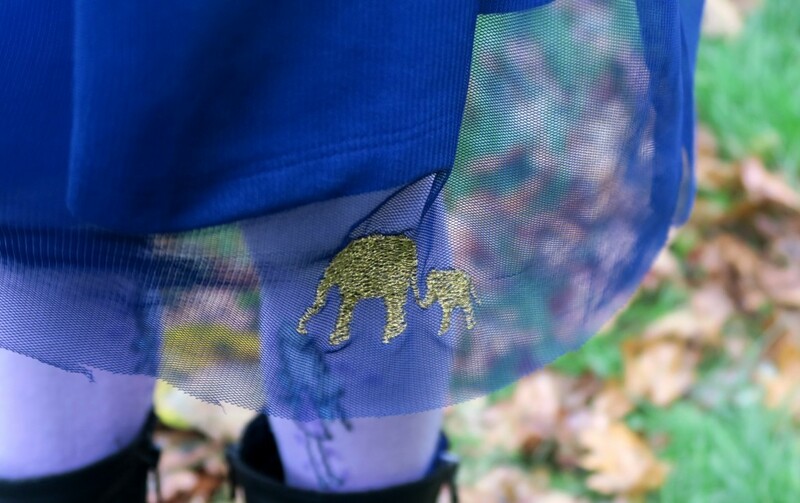 I love how the colours fade from pink to blue, as well as the little gold embroidered elephants at the bottom. This caught one of her friends eyes when Sofia was wearing this, it is very cute. 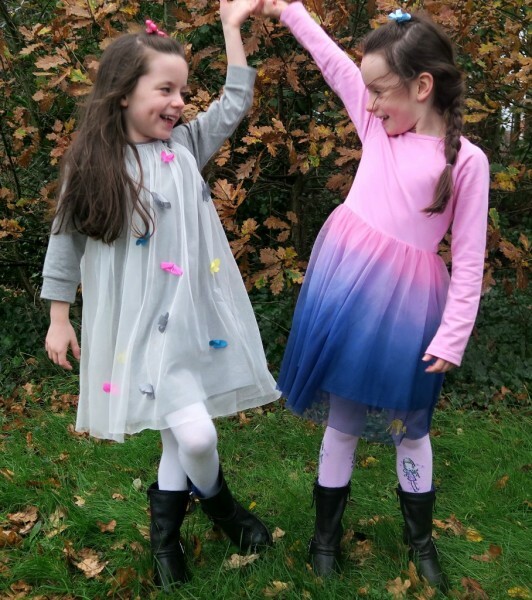 Lily’s No Ordinary Label dress is made by Bettlejuice, and it is just beautiful! I have never seen a dress like it before as it has the most cute little butterflies scattered all over the front. They are sewn onto the tulle overlay with silver stitching, but only in the middle so they are sat away from the dress. The main dress which is under the tulle overlay is a jersey dress. It is really comfortable but so pretty at the same time! Look at that very pretty satin bow at the top of the dress, it is fixed bow and the dress is fastened with a button. The arms are 3/4 length and the length on her body is perfect. Priced at £38 it is more expensive than the other dress but there is more detail in this dress, and I think it is worth it. This dress is in age 6-7yrs but is available in age 2-8yrs. Lily really loved running around but looking pretty too! 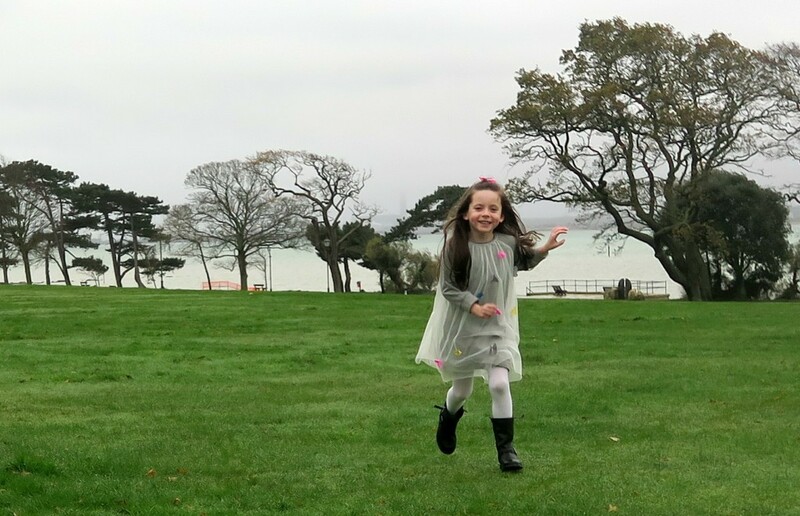 She is such a girly girl but is often found in practical leggings or jeans so she was so happy putting on this beautiful dress. Here they are getting blown around but having fun! 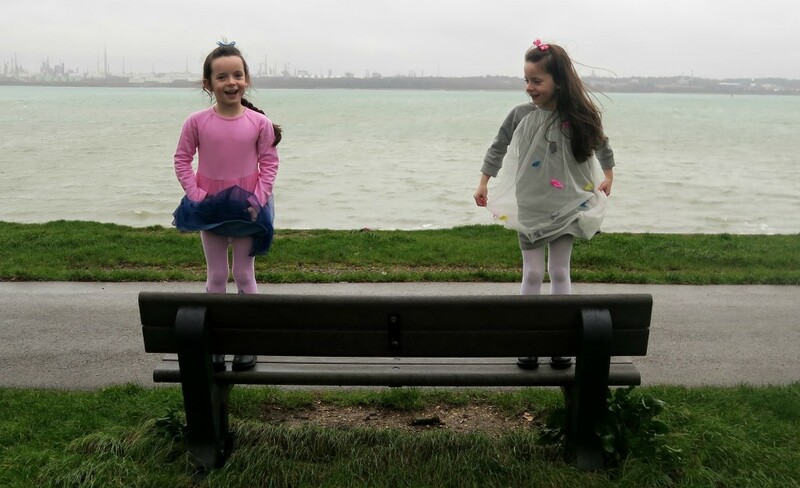 They are such happy and fun little girls, they make me smile everyday. 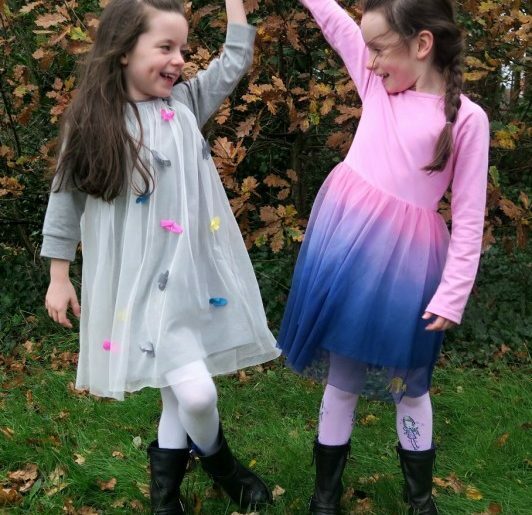 *No ordinary label sent us these dresses for the purpose of this review, however all words are honest and of my own. 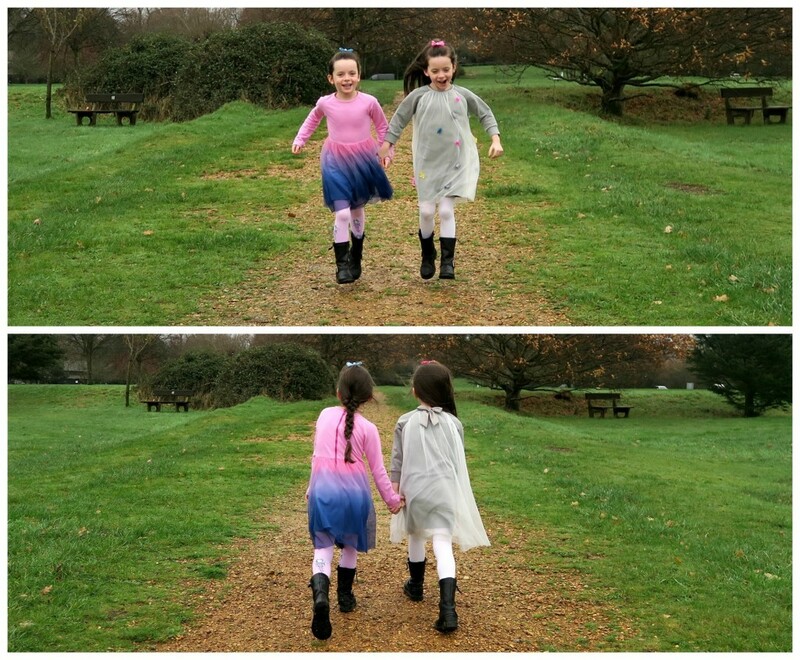 Lovely dresses and they suit your twins beautifully too…. I love the details of the dress, and the colors as well, find it so cute! Great Review! Oh my goodness these dresses are beautiful! 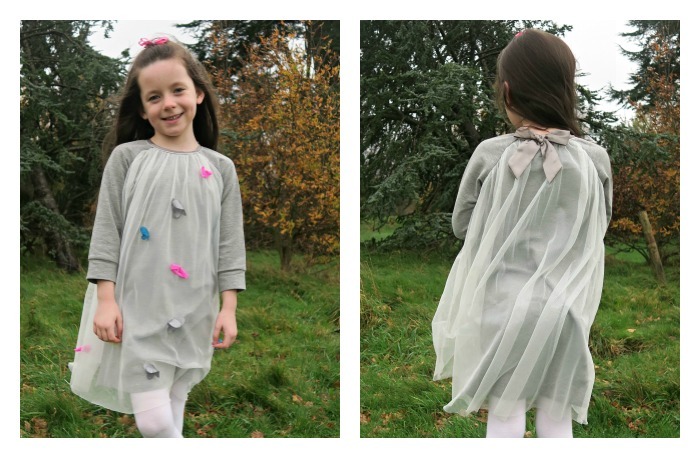 I especially love the grey one – I love grey and I love butterflies so it’s like the perfect dress for me haha! I’ve never heard of this brand before but I’m a bit obsessed with kids fashion so will check them out for sure! These dresses look fantastic. I like that they are different. My daughter would love twirling around in these. 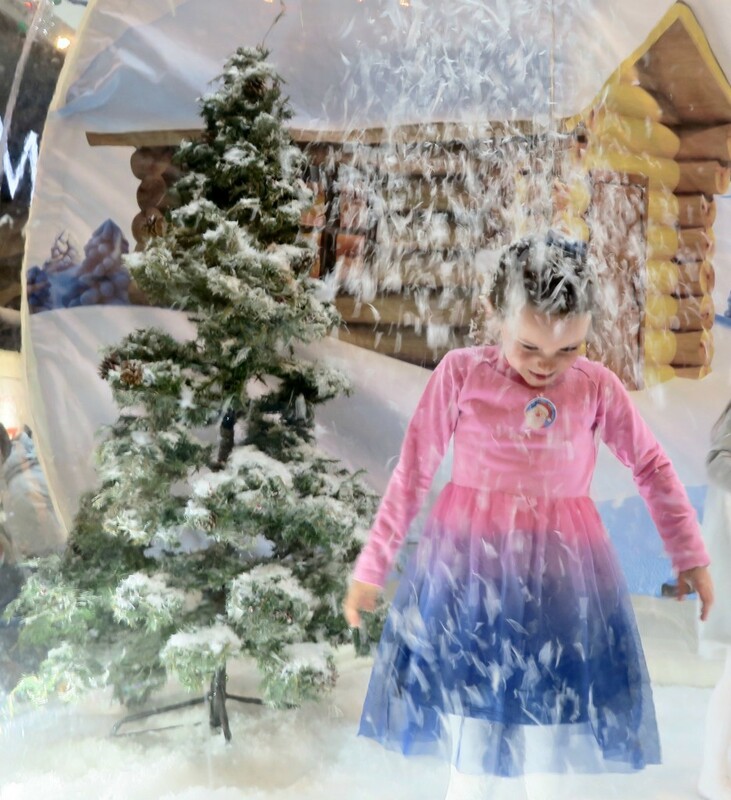 I love your photos, your girls look like they are having so much fun! These are lovely, perfect for the festive season. Happy new year! Those dresses are gorgeous! I’d never heard of the company before but will mention them to my friend who has girls! I love these 2 dresses how unusual! Oh they’re gorgeous! I love not heard of ‘no ordinary label’ before which is unusual for me as I love kids clothes and blog about them a fair bit! Off for a nosy… I do love the detail on the grey dress especially! Your girls are just adorable too!